Home / Blog / Blessing Israel / Seven Species of Israel within the City of Jerusalem! 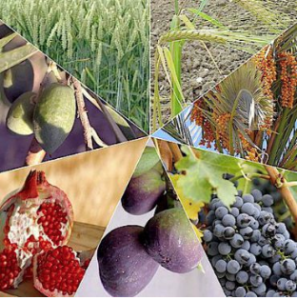 Did you know that the Land of Israel is described as “a land of wheat and barley, and vines and fig-trees and pomegranates, a land of olive trees and dates”? By reciting this blessing each time that any of the seven species is eaten, an expression of hope that God returns all Israel from the four corners of the earth back to the promised land is prayed. Did you know that My Olive Tree is taking an active part in restoring the seven species of Israel back to the City of Jerusalem? You see, when My Olive Tree first began sponsoring olive trees, we planted in the region of the Galilee. It was exciting to see the vision unfold and for our partners to LITERALLY take root in the Holy Land! A few years later the opportunity became available to expand our efforts and begin planting in the Negev Desert. Again, thousands of sponsors rallied together to leave a living legacy and a living memorial in Israel. A few years ago My Olive Tree was asked to plant several very large mature olive trees (30 to 40-years-old) in a special place in Jerusalem called The King’s Valley. This area, part of the larger Kidron Valley, located east of King David’s palace, is believed to have once been a garden for the ancient kings of Israel. And perhaps most importantly, it is there in the hills below the Mount of Olives where the Messiah is expected to return. It is an area where the kings of Israel once walked, and where the Messiah of Israel will one day return. 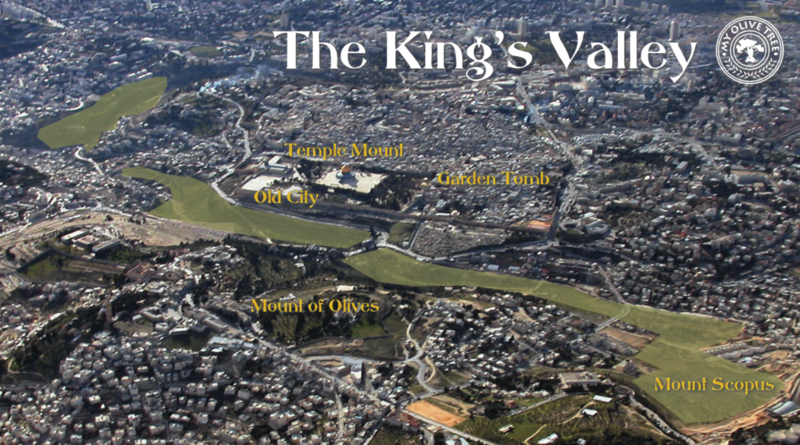 We have been planting mature trees in the King’s Valley of Jerusalem for a few years now, and have been looking for an opportunity to expand this vision, but until recently, it was not possible. Thankfully, the Jerusalem Parks Authority has recently approached My Olive Tree with a vision for this exclusive area of the Kidron Valley—a vision that involved more than just olive trees—they have asked you, our sponsors, to plant the Seven Species of Israel within the City of Jerusalem! From the Galilee… to the desert… to Jerusalem—it has been a journey! We are still planting in the desert, but NOW we have a limited time opportunity to plant in the City of Jerusalem, at the foot of the Mount of Olives! May it be said of us that we did not forget Jerusalem. We prepared Jerusalem. We prayed for Jerusalem. We planted a living legacy in Jerusalem. Let it be said that the restored Tabernacle of David did their part in the King’s Valley to welcome the King of kings and the Lord of lords—the Lion of the tribe of Judah! We now have several opportunities and levels of sponsorship available—from $19.95 and up—to plant YOUR living legacy in the City of Jerusalem. For more information on this once-in-a-lifetime opportunity, please click here.